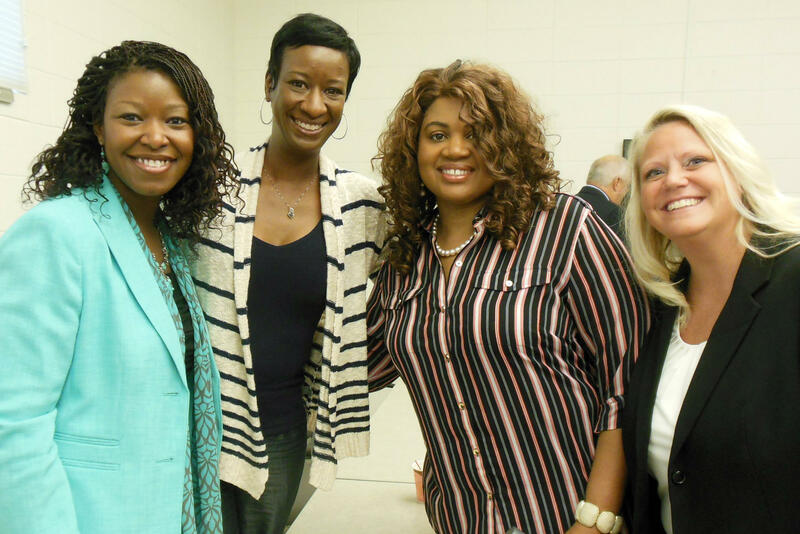 (right to left) Superintendent Alena Zachery-Ross, Parent Team president Kaja Thornton, High School principal Carla Turner-Laws and King Elementary Principal Stacey Pallett. All the principals hope to be re-hired by the staffing agency next year. "This" is a new set up where the district hires its own superintendent to run the schools instead of a management company. A staffing company will provide teachers and principals and the county’s intermediate school district will provide other services. Third-party companies will also provide busing, custodians, and food service. It’s not clear exactly how much the new arrangement will save the district. But Muskegon Area Intermediate School District Superintendent Dave Sipka said his organization will not be looking to make money off Muskegon Heights schools. “It means that there’s no outside management company that must turn a profit to continue the business of the school. The model truly means that the future of Muskegon Heights is firmly in the hands of local people that care about their community,” Sipka said. Sipka says the new setup could be a model for other Michigan school districts in financial distress. “I do want to make something very clear though. While MAISD will be providing financial services, we will not be controlling the financial purse strings,” Sipka said. MAISD will help Muskegon Heights Superintendent Alena Zachery-Ross draft a budget. The district’s school board will approve it. Because the district is in state receivership, Michigan’s Department of Treasury will also have to sign off on the budget. “Ultimately the (district’s charter) board will be the ones that control the purse strings. So the success or failure of this is still going to be with the board,” Sipka said. Weatherspoon indicated that the new plan has support from Michigan’s Department of Treasury, Department of Education and the governor’s office. He says the arrangement works because it will allow the team that’s already in place at the school district to continue academic achievements made over the past two years. “We didn’t fail, we had to fine tune. And in fine tuning, this is where we feel we have a seamless transition with this staff because the achievement piece was there but the money wasn’t,” Weatherspoon said. Weatherspoon says the Department of Treasury had final say in the plan forward. He says dissolving the district was never brought up as an option under the state law passed last year that allowed cash-strapped Buena Vista and Inkster school districts to dissolve. 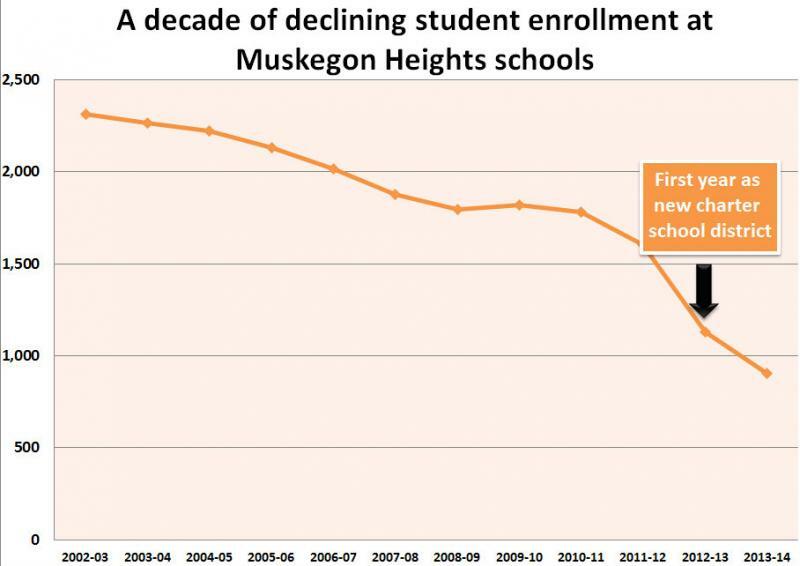 Instead, Muskegon Heights is getting another chance at a clean financial slate. Weatherspoon says the emergency loan wiped out any operating deficit the district would’ve racked up this school year. The $1.4 million loan will be added to an existing long-term loan from the state. It has until 2044 to pay the loan in full. The only deficit the district may encounter would be in capital improvements. Weatherspoon believes the district will need to spend around $270,000 on repairs to bring buildings up to safety codes. Weatherspoon says one elementary building will close next year. Pre-K through first grades will be in one building, second through sixth will be in another and the high school will house seventh through twelfth-grades. Mosaica Education and Muskegon Heights Public School Academy have come to a mutual agreement to end their working relationship. “This was a difficult decision for us and our board,” Mosaica Chief Executive Officer Michael Connelly said in a written statement. “We are very proud of the academic turnaround we were able to achieve under the leadership of Alena Zachery-Ross, our regional vice president and the superintendent for the system,” he said. The Muskegon Heights charter school district owes the company that’s operating its schools a little more than $2 million. That’s according to Mosaica Education’s CEO. The new charter district was created in Muskegon Heights when severe cash problems prompted a state takeover of the traditional school district by an emergency manager in 2012. Now the charter district is having cash flow problems of its own. The Muskegon Heights school system has been fined nearly $100,000 by the Michigan Department of Education. The department launched the investigation after Michigan Radio reported the new Muskegon Heights charter school district had about 10% of teachers working without a valid teaching certificate or permit. It’s against state law to do that. Listen to the on air version of this story. 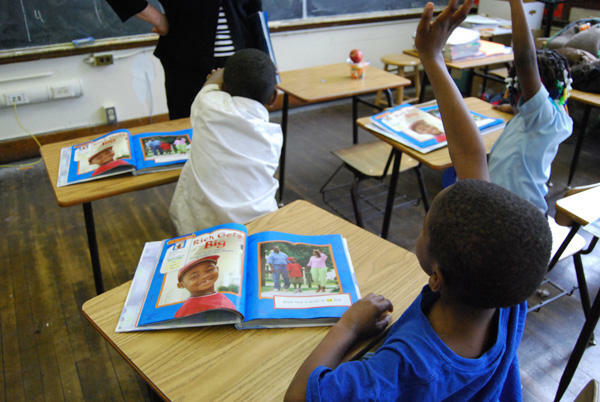 New reports show special education students in Muskegon Heights didn’t get all the services they should have this year. The company that runs the state’s first all-charter public school district is working to correct the problems. Federal law and state regulations outline the rules that are supposed to make sure kids with special needs still get a fair education. Michigan’s Department of Education found more than a dozen ways the new Muskegon Heights charter district violated those rules, affecting a couple hundred special education students. “In my opinion this was probably the worst delivery of special education services I’ve seen in my career,” said Norm Kittleson, a former special education teacher at Muskegon Heights. He’s been teaching for 15 years. Kittleson started teaching a small class of students with learning disabilities and emotional issues at Muskegon Heights last October. Despite a previous state takeover, a slew of surprise costs and a dramatic drop in student enrollment have led to a new budget deficit for the public school district in Highland Park. A multi-million dollar deficit prompted a state takeover of Highland Park Public Schools in 2012. The state appointed emergency manager restructured the district’s deficit into long-term debt with over $7 million in emergency loans from the state. The manager created a new charter school district to educate students. In 2012 The Leona Group LLC., a charter company,was hired to run the entire district for an annual fee of $780,000. But now the district is running a deficit again. 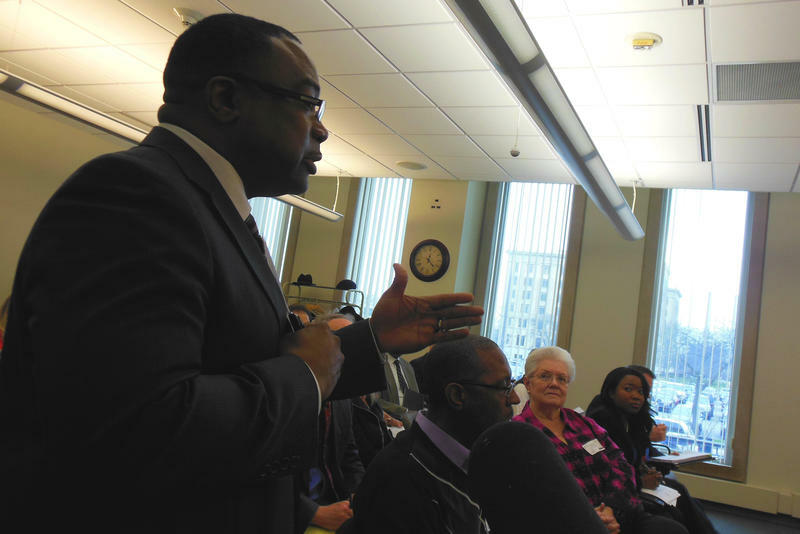 The former emergency manager of two Michigan school districts is moving onto help Pontiac schools. Donald Weatherspoon was the emergency manager of the Highland Park and Muskegon Heights schools. 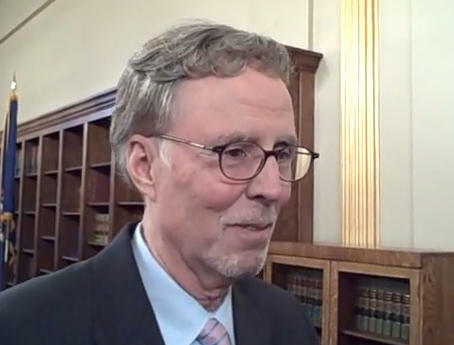 Now, he’s a consent agreement consultant for the Pontiac schools. The Pontiac school board chose to enter a consent agreement after a state review found the district was in "fiscal stress."